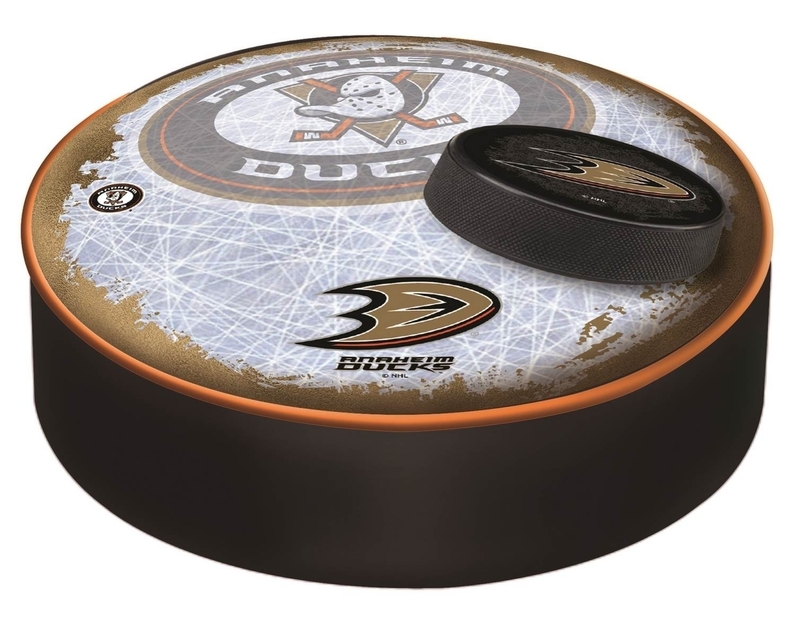 This Anaheim Ducks bar stool cushion cover is hand made in the USA by Covers, a Company. Commercial quality, marine grade vinyl is first-surface printed with high quality, UV inks. This cover slips over your existing cushion and is held in place by an elastic band. The vinyl cover will fit 14" diameter x 4" thick seats. This product is Officially Licensed. Make those old stools new again while supporting your team with the help of Covers!